Directions. Preheat the oven to 400 degrees F. If the carrots are thick, cut them in half lengthwise; if not, leave whole. Slice the carrots diagonally in 1 1/2-inch-thick slices.... 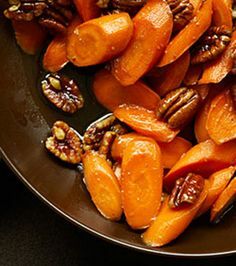 Discover all the tastiest carrots cut diagonally into recipes, hand-picked by home chefs and other food lovers like you. I made this easy and tasty recipe for Rosh Hashanah today. Everyone loved the carrots-even the kids! I didn't use exact measurements but I cut-up eight large carrots, mixed with a little butter and olive oil, sprinkled some salt and pepper, and spread out on two cooking spray covered foil-lined baking sheets. After peeling the carrot, place on a cutting board or chopping block. Holding the carrot firmly, use a sharp knife or a cleaver to cut the food at a 60-degree angle.